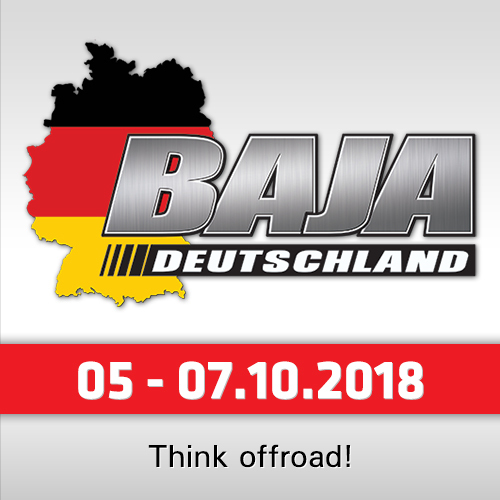 The third round of the FIA World Cup for Cross-Country Rallies is a multi-day race and it has an increased double coefficient of points for complexity. Taking into account the fact that at two previous rounds the first place went to two different crews, and Nasser Al-Attiyah, one of the main contenders for the Champion title, is forced to miss two races in the Emirates, several participants now have a chance to change the position in the overall standings and get the coveted double set of points on the way to leadership. 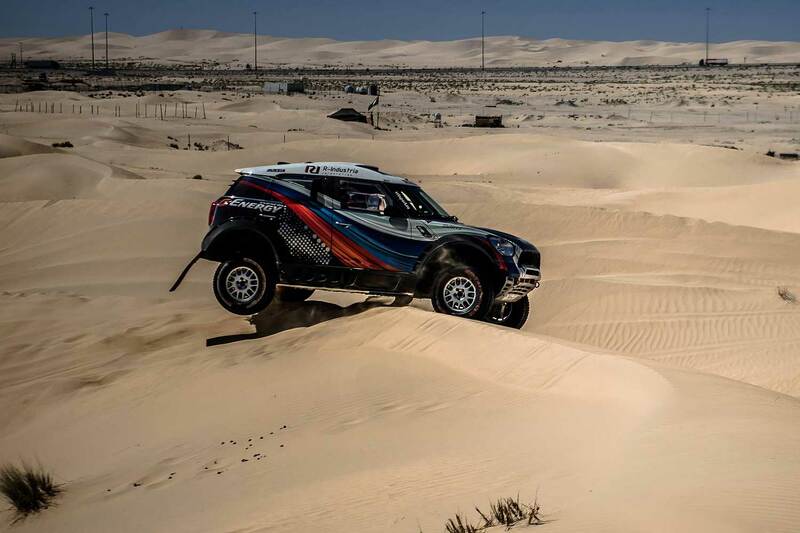 On Saturday the cross-country rallies came into contact with the world of ring races – the rally raid Prologue took place on the Formula 1 Yas Marina track. The event, more like a show than a sports race, was opened the 28th edition of the Abu Dhabi Desert Challenge. 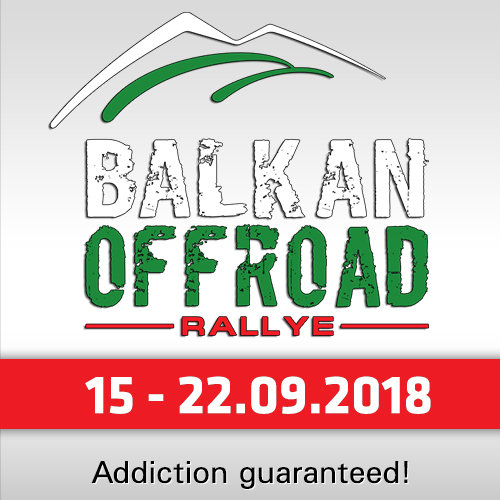 A dozen of the fastest drivers have the right to choose the starting position by the Prologue results, although this procedure is more important at short races, such as Bajas, and here, at the rally raid, it is more a formality than a necessity. 36 cars and buggies came out to the 2-kilometer special stage, or rather to the racing ring circle. It was not easy for heavy, slow-moving vehicles with a suspension not at all designed for such races to drive on the ring track. The best were Sheikh Khalid Al-Quassimi from the UAE and Pole Jakub Przygonski, finishing at the same time – 1:11.1 min. The Russian crew of the G-Energy team finished on Saturday in the top-10 that provided it with the opportunity to choose the starting position for Sunday. The only position that was least desired was the first one. Vladimir Vasilyev and Konstantin Zhiltsov chose the sixth position for the start. 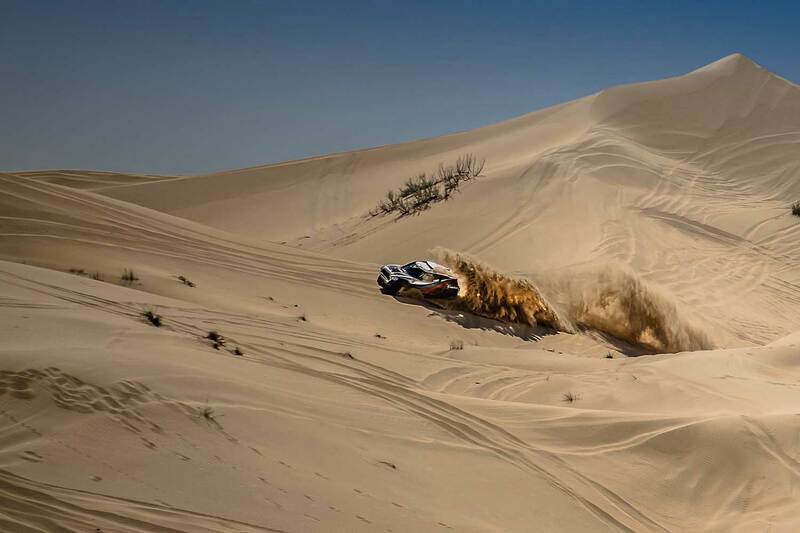 On Sunday the participants faced the first sandy tracks, small dunes were replaced by high and uneven ones, while it was very hot outside the car – usual weather for the desert at this time of year, but unusual for participants from Russia. Driving in such conditions is not easy at all and many drivers at the finish complained about the “sauna” inside the car. 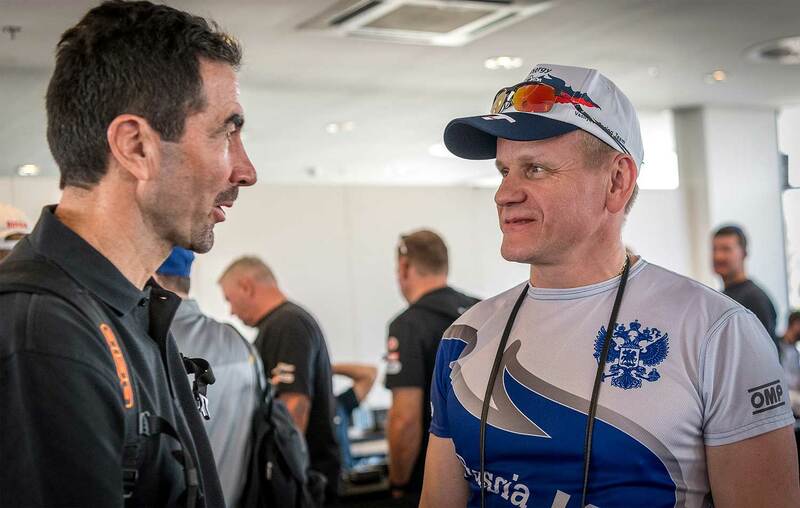 The crew of Vladimir Vasilyev and Konstantin Zhiltsov came the sixth to the finish line. 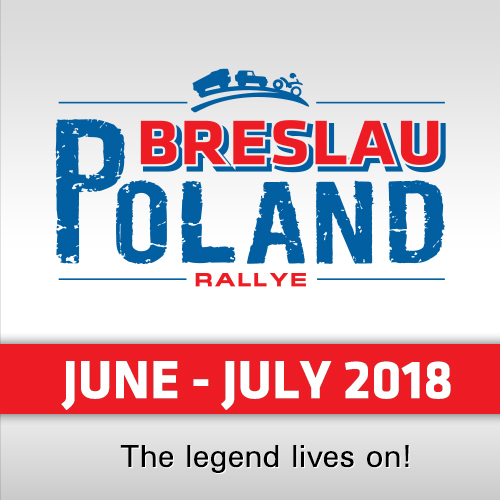 The first was the Frenchman Luc Alphand, Jakub Przygonski followed him in just one and a half minutes, and Yasir Saiedan rounded out the top three. Vladimir Vasilyev completed the day in just 11 minutes behind the fastest crew. "Today at the first kilometers, at 20-30 kilometers, the tyres did not have time to warm up and at one of the curved jumps the rear wheel was dismantled," said Vladimir Vasilyev. "And while we were changing it, Al-Quassimi overtook us. In other words, we were already getting into the car when he drove, so we followed him. At the end of the special stage, probably for 40-50 kilometers, we approached the sheikh and drove at his “tail”, but did not pass him. Well, he really saw us and decided to push." "We also saw Hunt, it seems he rolled over. First we saw his hood behind the dune, and then caught up with him. He was driving with the raised doors, “waving his wings” – apparently he really rolled over. Here the motorcyclist overtook us and Al-Quassimi for the first time. And then he fell right in front of us, from the dune, apparently, the speed was too high. The special stage consisted of dunes, in principle, we always drive at the same places. Anyway, it’s hot today, although not as the last year. Then the temperature in the car was more than 100 C. The hatch of the engine compartment opened then, and 120 C from the engine was blown into the cabin. I burned my feet to blisters, but to be honest, I didn’t pay attention to the weather overboard. Today, in the dunes, the sun was also very warm”. "The traditional round in Abu Dhabi is 99% of the sands," stated navigator Konstantin Zhiltsov. "At the 20th kilometer the tyre started to flatten, at the 30th we stopped to change it and lost about two minutes. We finished doing it, when Al-Quassimi drove up and went away. We needed time to get into the car and fasten the belts. We caught up with him and drove all the way with him, there were no more special moments. Well, the motorcyclist fell before the finish in front of us. We saw Hunt, who seemed to be overturned, no one else." "The sand is rather loose, it’s hot. It seems, this year it will be funny. The car is unbroken, everything is good. In the course of the stage there was a series of shallow and high dunes, and most importantly, not just high ones. It’s not just this, but their complexity. They are all curved, especially some high ones. Strongly curved and therefore difficult." On Monday the Russian crew will enter the racing track in the top ten, to the special stage with the total distance of 288 kilometers.